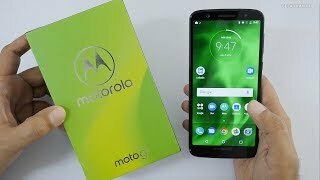 The newly launched Moto G6 is one the best phone in this price range. It comes with a sleek stylish design with the 3D glass back of the Moto G6, with scratch resistant Corning Gorilla glass. It is equipped with 12+5MP dual rear cameras (f/1.8, a single LED flash) with creative camera system; 16MP front-facing camera with low light mode and LED flash. Thanks to its face recognition software. Now, you do not have to enter your password to unlock your phone. You can unlock it by simply letting the camera see your face. It comes with 1-year manufacturer warranty for device and 6 months manufacturer warranty for in-box accessories including batteries from the date of purchase.